Taurus (21 April – 21 May) is a fixed zodiac sign. Leo (23 July – 22 August) is a fixed zodiac sign. Scorpio (24 October– 22 November) is a fixed zodiac sign. Aquarius ( 21 January – 19 February) is a fixed zodiac sign. 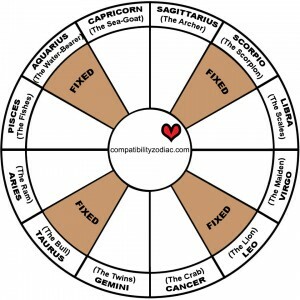 What is a Fixed zodiac sign? Each Fixed zodiac sign represent the middle of a season: Taurus represents the middle of spring, Leo represents the middle of summer, Scorpio represents the middle of autumn and Aquarius represents the middle of winter. 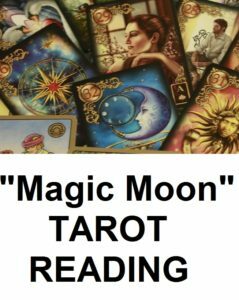 The Fixed zodiac signs indicate stability and prosperity. Fixed zodiac sign natives are reliable people. They are patient and can keep a project running smoothly. They thrive in a positive work environment and they seek stability. Working in the same company for a long period of time is good for them. Many of the Fixed zodiac sign natives will become experts in their field. Fixed zodiac sign natives have a very strong sense of self. Their passions, interests and opinions are rarely changing. If they change their mind, it will happen slowly. They are great friends because they are reliable and trustworthy. They like to spend their free time with a small group of long term friends. Fixed zodiac sign natives need to love and be loved. Their thrive in a relationship based on mutual attraction and common interests. They have so much affection to give and they are passionate lovers. Ideally, their partner will share their interests and goals in life. You are a Fixed zodiac sign and your partner is: Aries, Taurus, Gemini, Cancer, Leo, Virgo, Libra, Scorpio, Sagittarius, Capricorn, Aquarius, Pisces.